Beginning in 1992, and in various technology leadership positions, Chris' performance as CTO and CEO of leading technology companies has demonstrated a history of dynamic revenue growth. His executive roles have included consulting and implementing solutions with 5XD, Microsoft, Mersive, TeleSource, IBM, Cisco, PTC, Plantronics, PTC and other innovative technology companies. As an IT Architect, he has proven operational leadership for large enterprises beyond $30 billion in annual revenue. Traylor is the executive leader for innovation surrounding the 5XD platform. 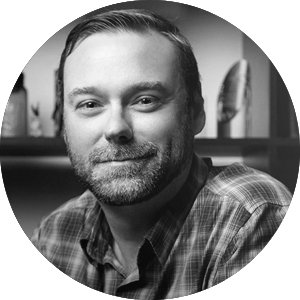 He has spent the last 20 years working around the globe with both agency and direct-to-brand clients developing world class digital experiences. As CXO, Traylor assists in the strategic roadmap and development of 5XD technology to empowers agencies and brands to better visualize their data and stories. As an innovator, artist, animator, producer, and executive producer, he brings a depth of experience while working with some of the world’s largest brands; Dell, Barco, Frist, CMT, Bridgestone, Healthtrust, Verizon. Brian figures out the “why” for business adoption, accelerating solution mapping and strategic planning through to execution. Brian provides executive leadership to all aspects of 5XD business and technical project management operations. Naveed leads all aspects of IT, business applications, technology development, IT infrastructure, IT operations, and Business Intelligence (BI). He is CISSP certificated providing the security background for innovation in advanced cryptography. His experience includes the integration of enterprise platforms such as Oracle, Salesforce, BMC, Qlikview, IBM Cognos, and others. Kris Kelso is a entrepreneur, consultant, and executive coach with a background in information technology. He has founded or co-founded multiple companies, and worked with hundreds of other organizations and leaders, ranging from startups to Fortune 100 enterprises. His technology startup expertise provides 5XD with business guidance, financial models, and product-market-fit strategy. 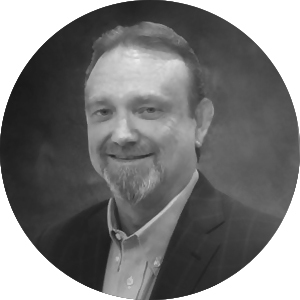 Ronnie has served as President and CEO of TeleSource since its inception in 1996. The “One Source. One Contact. One Solution” vision initially bore fruit as enterprises had been searching for a telecommunications solution provider to source and support all the telecom products and management services required to power their business operations. Ronnie provides the marketing and communications backbone for the support and distribution of 5XD product.